Don’t wait before your tank starts to leak. New Year might mean a new water heater for your home. Find out when is the best time to replace it. It might not be something very obvious all the time, but you need to replace your water heater after a certain period because you don’t want it to cause water damage to your home, do you? Here are some signs it’s time to replace your water heater. 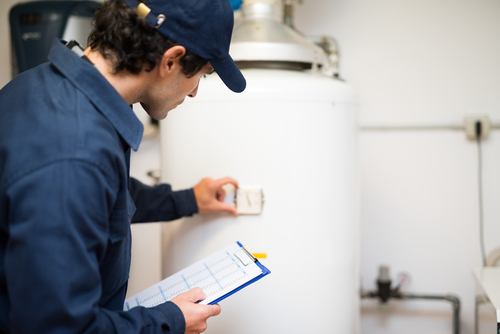 A water heater can age up to ten years before being considered for a replacement. Although regular maintenance can prolong its lifespan, it is not recommended to wait until it develops a leak before you replace it. One of the signs your water heater is about to leak is when the water coming out is rusty. However, your galvanized piping might also be at fault. Run a test by draining a few five-gallon buckets of hot water. If it’s still rusty by the third bucket, replace your water heater already. Sediment will build up on the bottom of the tank because it will harden when they are heated and reheated. This can cause the water heater to make rumbling or banging sounds as it cries for help. If you have already checked any other fittings or connections to the tank and they are all dry, then the moisture around your water heater means it might have a small leak or fracture in the tank. Nobody likes taking cold showers. That’s why you have to give importance to your water heater and prevent it from damaging your home just because it needs replacement.